Most homeowners would want to integrate the environment into the house or at least get a good view of the surroundings. Well, this is actually a good thing because getting a lovely view from outside will make one feel relaxed. Also, it will be good for the eyesight as well than just being boxed inside the house. We have featured so many homes with fascinating views and expect to see more homes with stunning outdoor panorama. 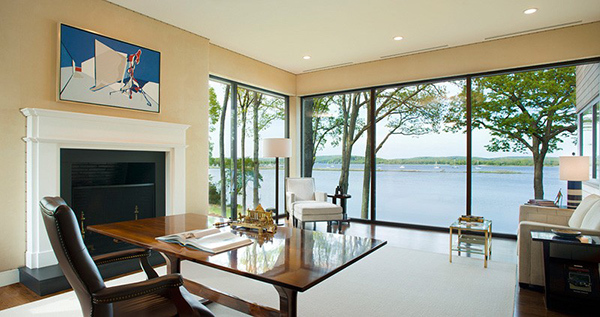 A contemporary home in Essex, Connecticut sits on an approximately 2 ½ acres land with direct access to, and views of, the Connecticut River. The location of the area allows the owners a secluded spot within the neighborhood. 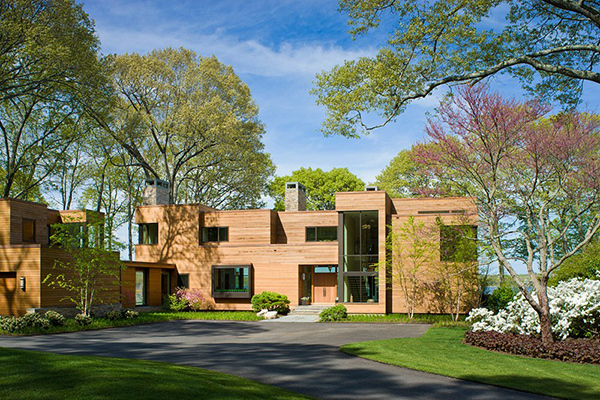 The owners wanted a modern home within the traditional environment of Essex, Connecticut. This means that the design has to incorporate “views of the river directly to the East as well as views to the North where the quaint village of Essex can be seen in the distance”. Meanwhile, the views to the South and West were minimized to maintain privacy from the neighbors and the street. Hence, the design of the floor plan was based on the concept of dual views (to the East and to the North. Come take a look at this home through the images below. 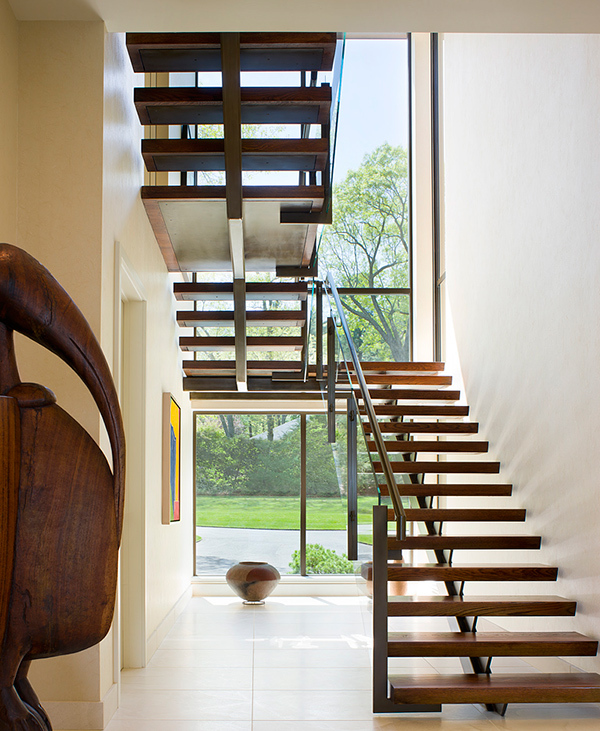 The house has a modern and contemporary design which is reflected even in its architecture. 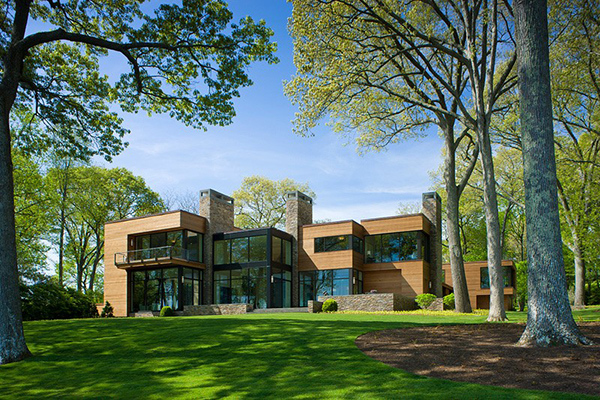 The exterior is clad in custom milled cedar with bronze aluminum windows. Stone used on the house were obtained from local quarries. All major rooms within the house took advantage of the double exposure which was achieved by stepping the masses of the house. With the large glass windows, the house becomes transparent and would look even more dramatic with the lights on. The living room has a double height ceiling and a floor to ceiling window. Just look at the view of the lake! Wonderful! One side of the wall in the living area has a display of books and other collections. 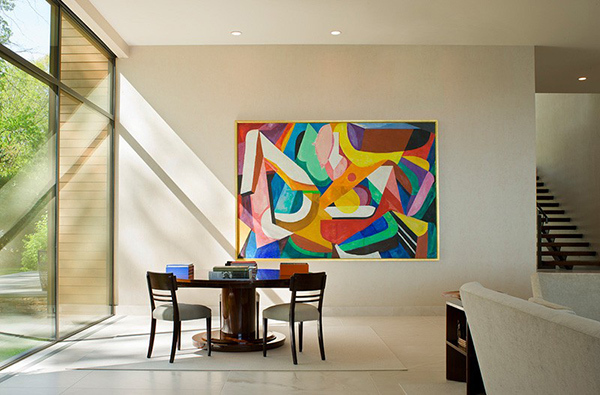 That colorful wall art brings more life to this dining area with wooden dining set. Another area to dine or just relax in with a stone fireplace. The kitchen used wooden cabinets that look good with the wooden flooring. I find those pots on the window very cute! Wooden treads were used for the staircase that is being held with a spinal made from steel. 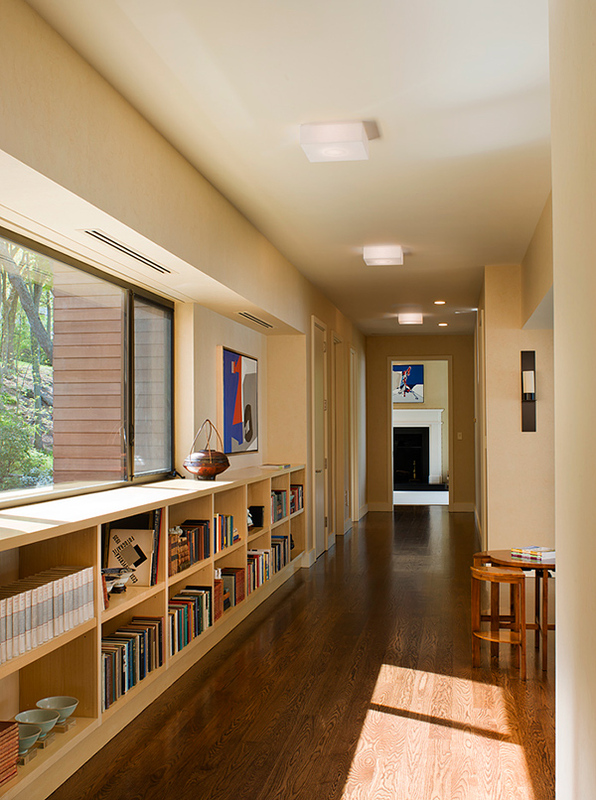 A hallway could be functional too with a line of bookshelves or a small study area. From the bedroom, the lake can still be seen through a balcony. This is a beautiful bathroom with glass enclosure for the shower and wooden cabinets for the vanity. I would definitely love to work if this is my home office! Such a relaxing spot! And this is the Art Studio which is created as a separated space. It has its own bath and is located above the garage. I know you think this is indeed a stunning home based on the images you have seen above. The interior finishes of the house include natural wall coverings, limestone floors, and custom millwork fabricated of rosewood, sen, and Japanese ash. Yes, the Point One Architects + Planners (POA) made sure that they will be able to give the owners the kind of view they want to see right from their very home. And we cannot blame the owners for having that desire to get a good outdoor view because that is everyone’s dream! What can you say about this house?